The circus was the most popular and most egalitarian stage art of the USSR that unlike theater, ballet or music, did not require any previous education. 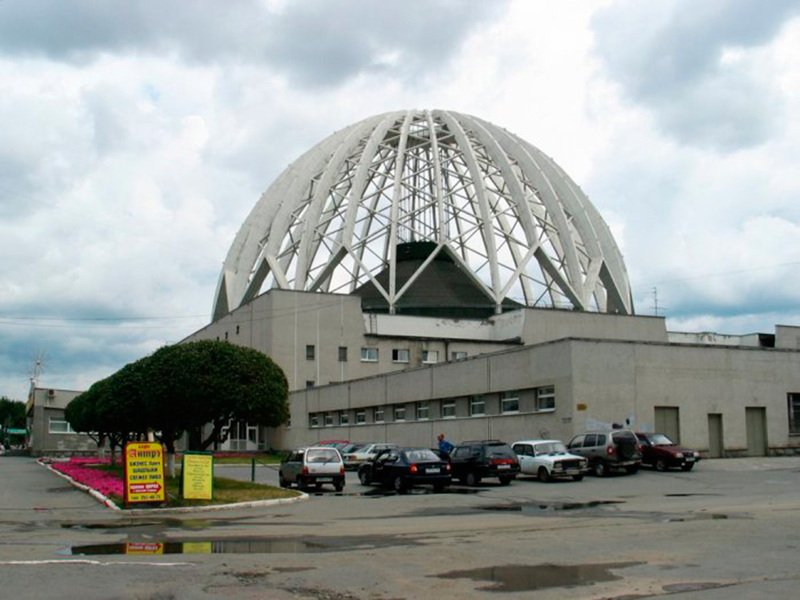 Their functions were cheap, simple and fun, they did not deal with existential issues if it was not for comedy. 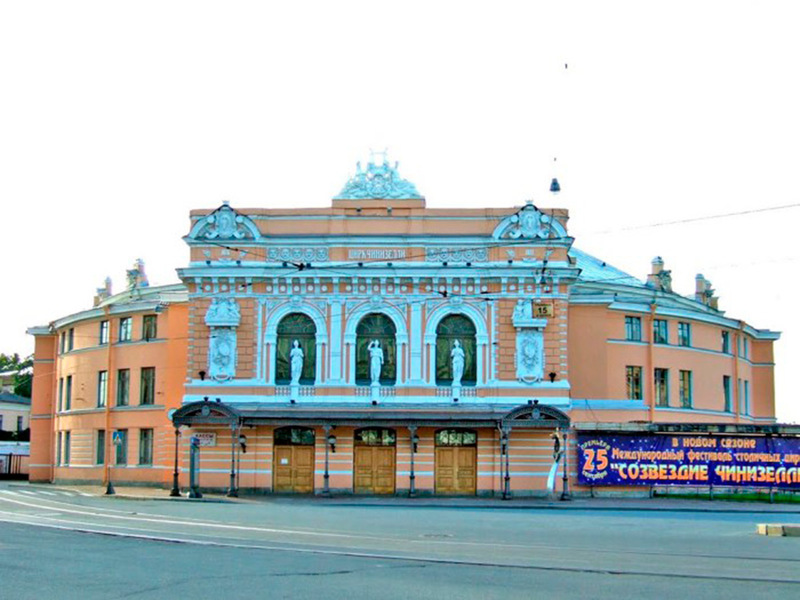 In many cities of the USSR and the allied countries fixed equipment was built, with local companies or visitors and are among the contents that have best survived the political and social changes. Contrary to its nomadic origins, which continue to be its way of working in the rest of the world, in the socialist countries the circus was a fixed cultural reference that was in the middle of the urban center even on the main avenue. 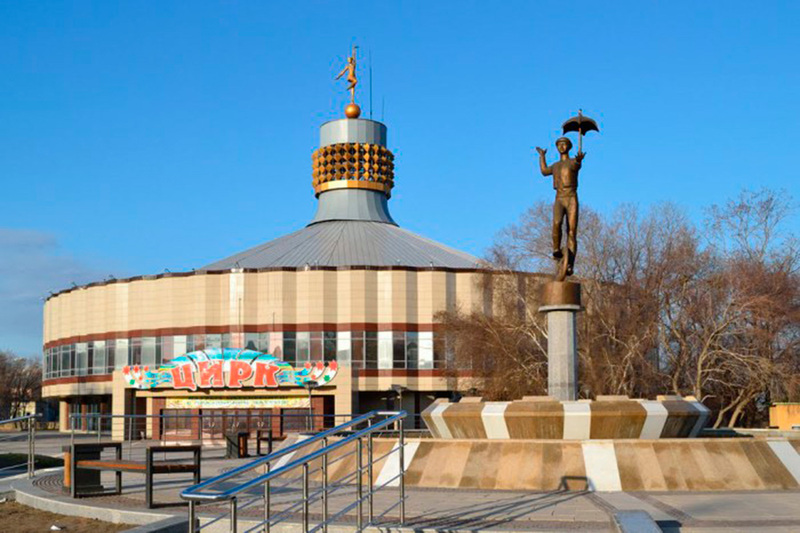 Like all Soviet institutions, the circus was nationalized in 1919, at the end of the revolution. 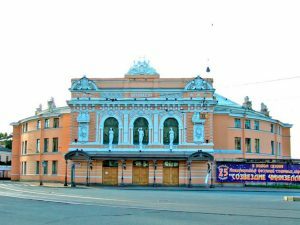 In 1929 the circus school in Moscow was founded and in 1946 the study for clowns was introduced, forming the first public educational institutions in the world for the circus arts. 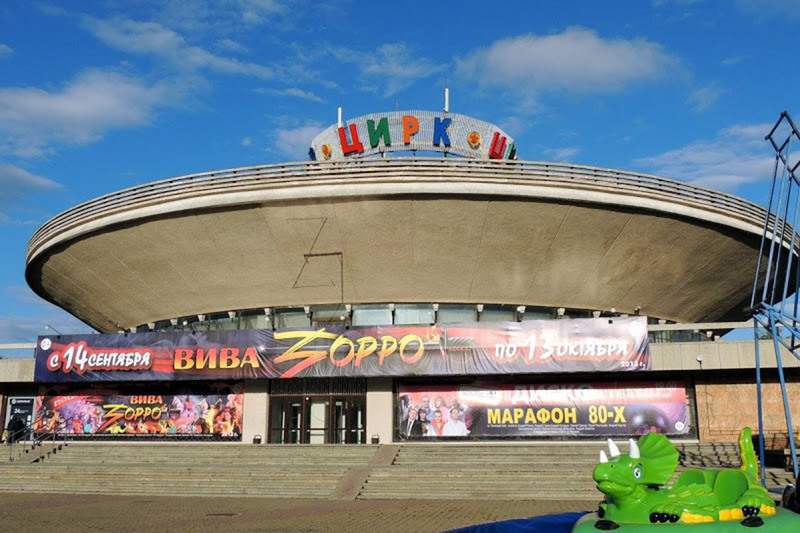 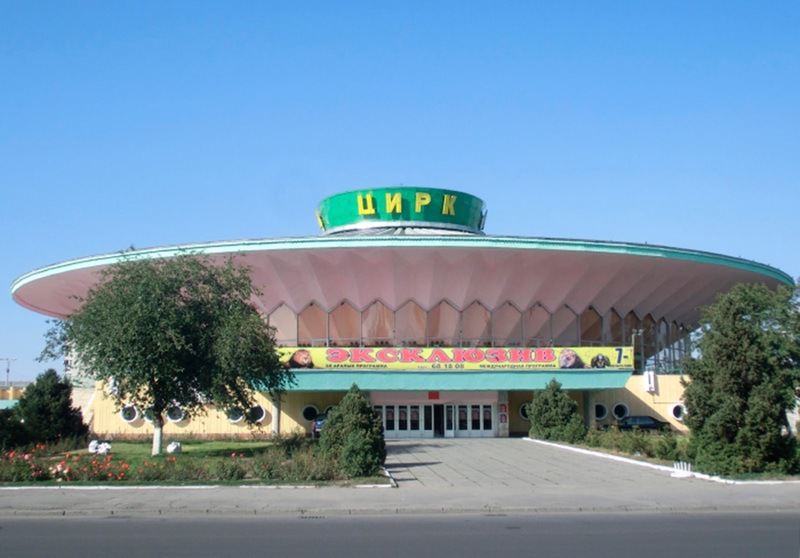 Since 1957 the circuses of the entire Soviet Union have been managed by the state company Soyuzgostsirk (Union of Public Circuses) that came to build around 70 facilities until the fall of the USSR. 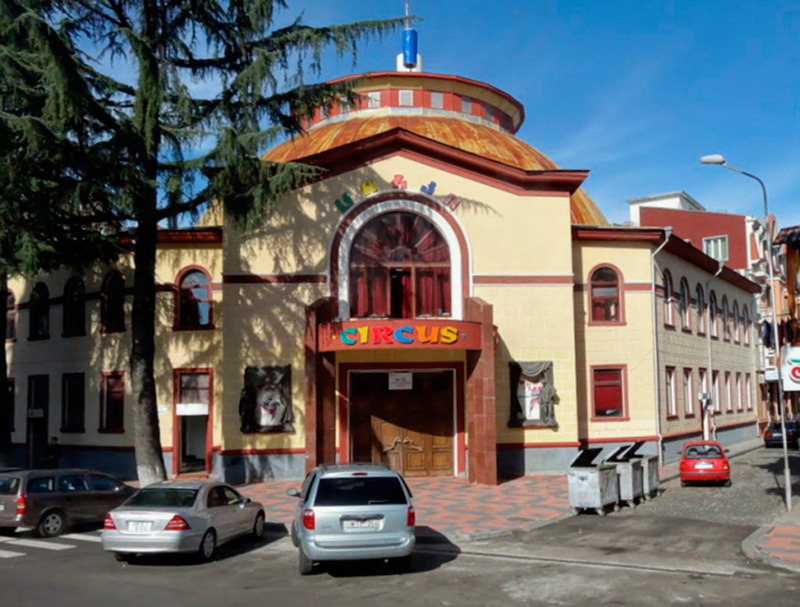 The workers of the circus were part of the middle class: they had a carrerea, they were public employees and they also had benefits, because of the danger of the disciplines and because of the cultural interest that the circus had. 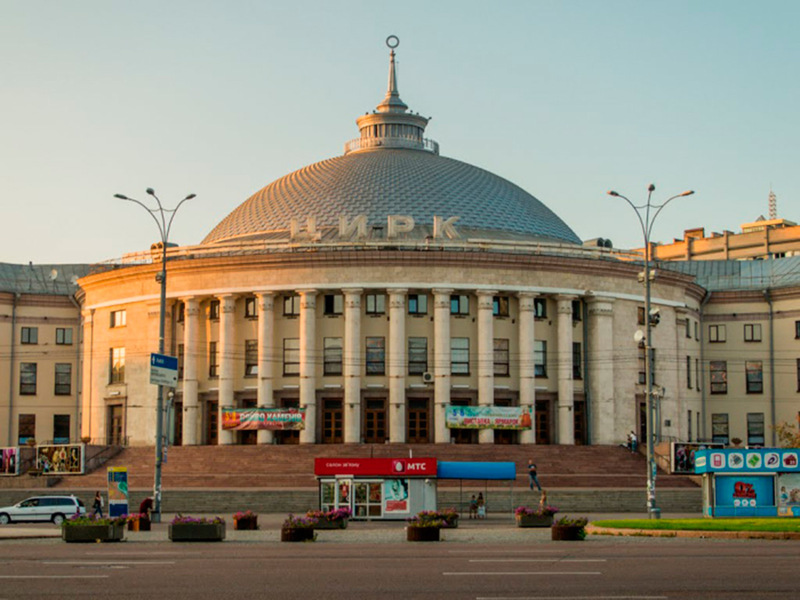 From the time of “thaw”, after the death of Stalin, several circuses of the USSR and especially the one of Moscow, did tours and offered functions in Western Europe, something that placed its workers above the average of the public officials . 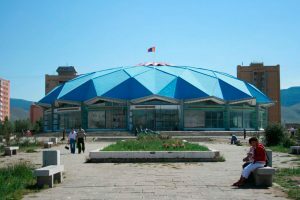 The functions of circus were daily, in the big cities were made two a day and were designed for everyone, regardless of age, education, economic level or position in the civil service system. By never reaching the theoretical ideal, Soviet society was not as egalitarian as is often thought, so that the circus was the socially most cohesive artistic form. 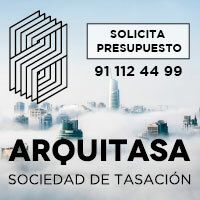 It is a collective art in every sense: there is not a single author, the performances are created during the training process by their actors and all contribute to the success of the company equally. 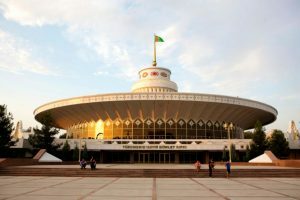 The creation of the pieces – of acrobats, jugglers or tamers – involves overcoming the limits of one’s own body, competing with oneself, with nature or with peers. The circus unites art with sport, science and mechanics and in this is in line with the imaginary of communist ideology. 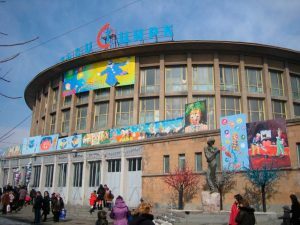 The specificity of the Soviet circus, heir to the Russian circus with influences from the Far East, is the introduction of a narrative line. 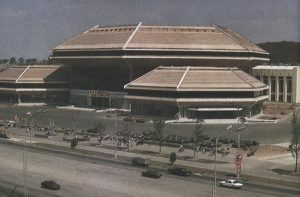 It is not a simple display of skills, but all the pieces, in one way or another, unfold around a common thread. 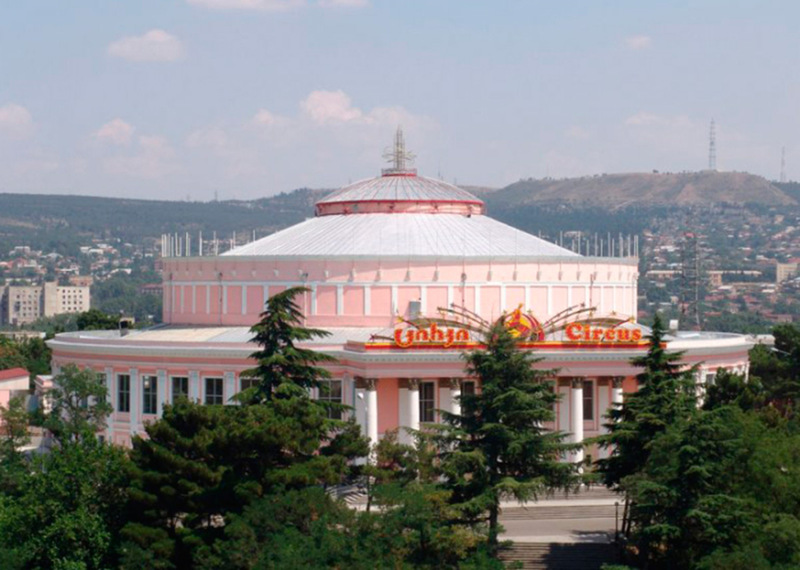 This characteristic, together with the popularity of the expressive form, has contributed to the fact that circus is also the ideal medium to transmit a slight ideological message. 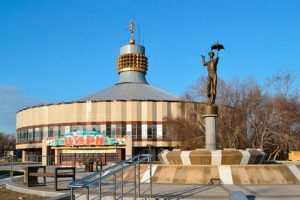 During the Second World War, the Moscow circus, now known as the old circus or the Nikulin circus, did not stop the performances. 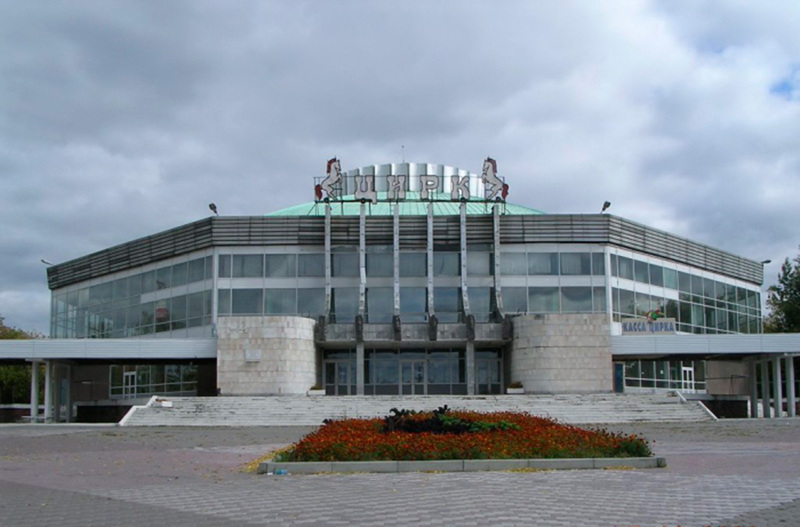 The stunts included motorcycles and weapons, the clowns were dressed in German soldiers to ridicule them and at the end of the show a tank entered to destroy some sad enemy. 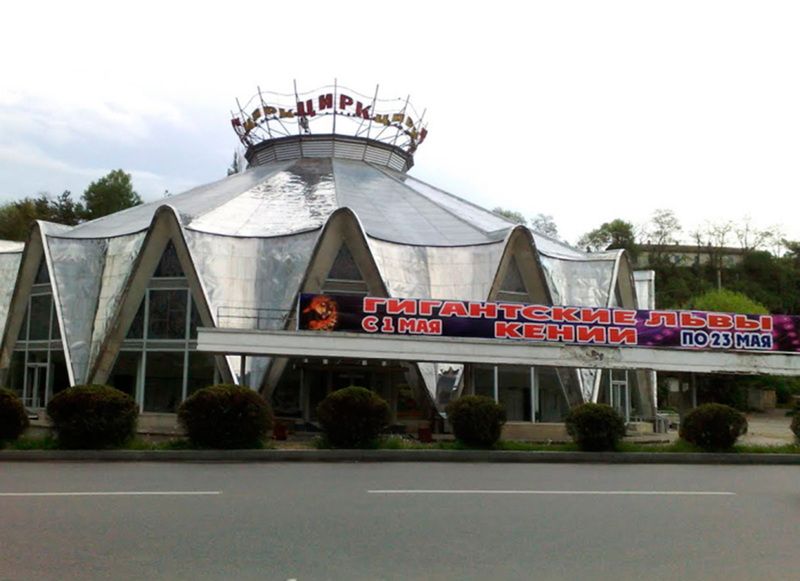 The circuses that have been built in the Soviet Union have very little changed their original form. 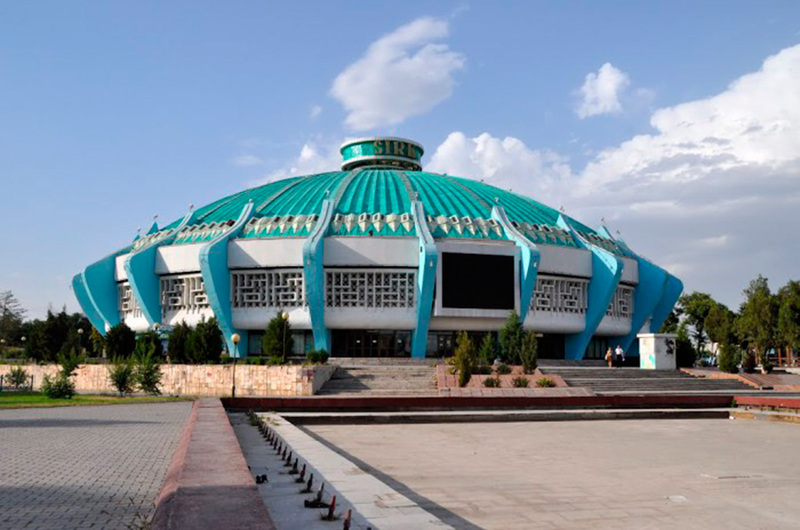 All are round and in their outer form reminiscent of the canvas tents of circuses we know. 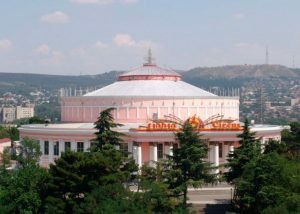 The origin of the circus in tribal rituals and group military exercises dictated this initial form that was modified in Roman times to include other types of competitions and that returned to its origins in the Renaissance to give rise to the modern circus. 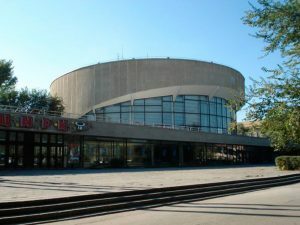 The form is dictated by the physical characteristics of the performances: the acrobatics unfold freely in space, they must be able to observe from any point equally. They do not need any scenery that would fix them in a specific stage. 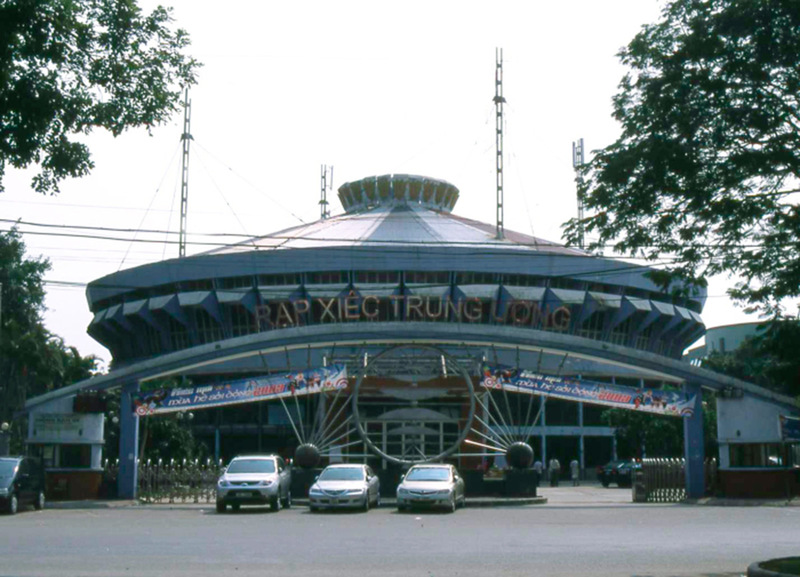 The same goes for numbers with animals: they walk in circles, look at each other and do their performances together. 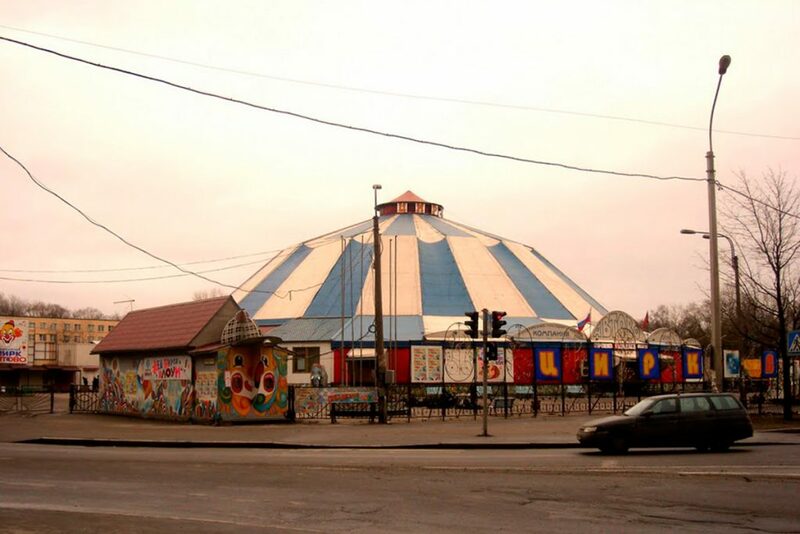 Or the clowns, jugglers and the rest. 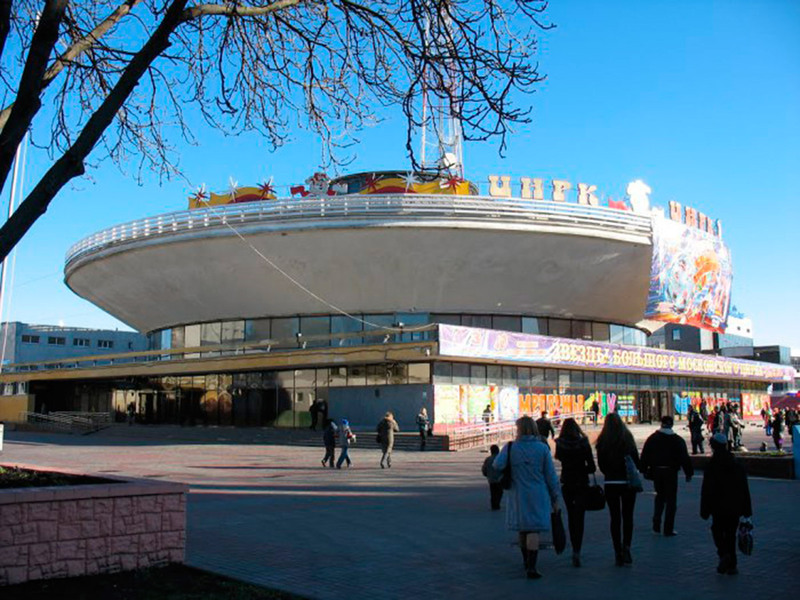 The evolution of the Soviet circus as an architectural form has had two main aspects: the technological progress of the scenic machinery and the changes of external form that has been parallel to the changes in Soviet architecture in general. 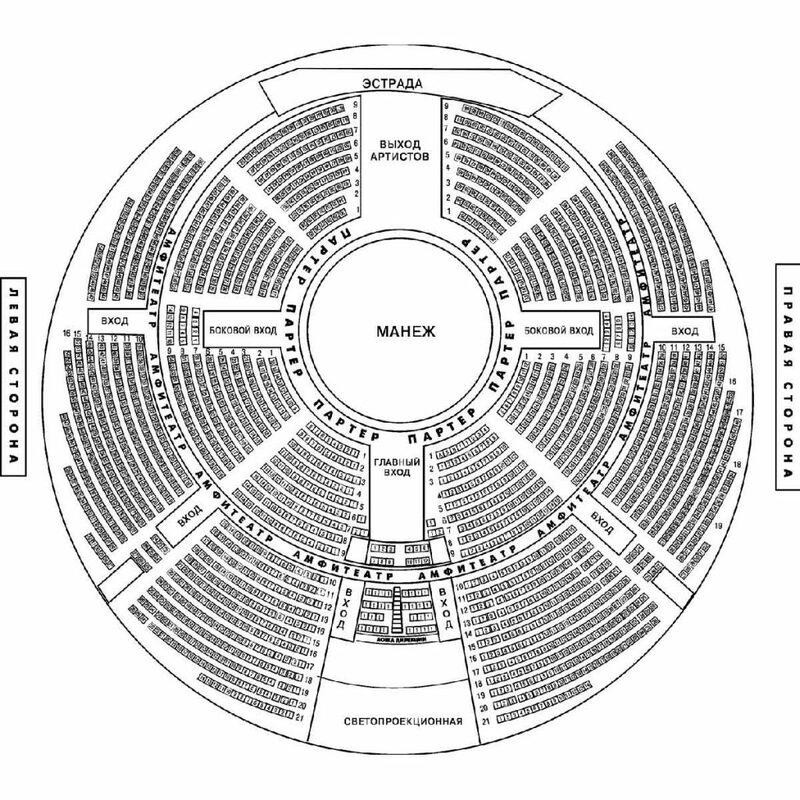 In terms of technology, circuses have been accumulating lateral spaces, training and preparation rooms, controlled areas for animals, etc. 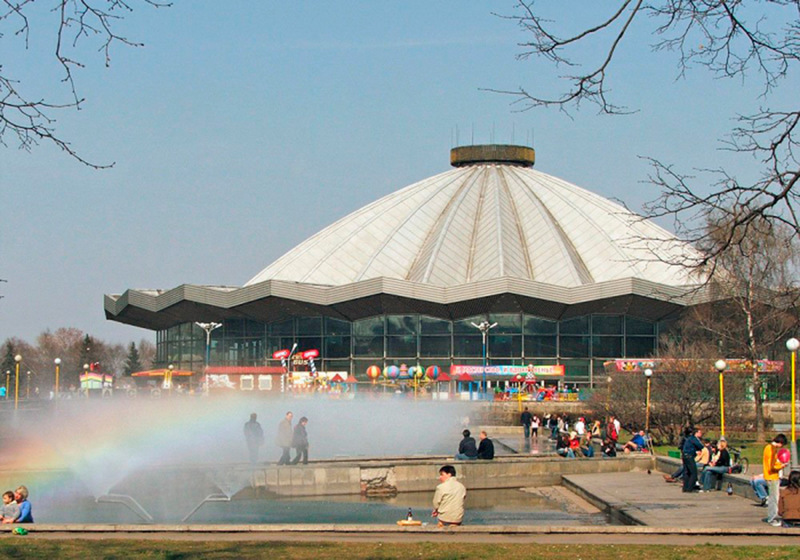 The new circus of Moscow opened in 1971 and considered the largest circus in the world with capacity for 3,400 spectators, has 5 arenas: equestrian, water, illusionist, ice rink and lighting effects, located on platforms up to 18m underground , which can be exchanged during the function. 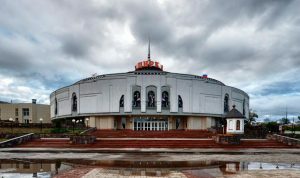 Most of the Soviet circuses were built at the end of the Second World War and after the first and necessary wave of construction for industry, housing, administration and monuments. 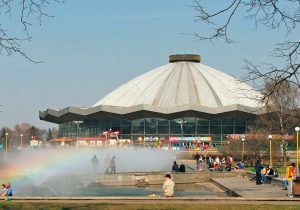 Many replaced the old wooden circuses or were placed in places where the visiting companies usually raised their tents. 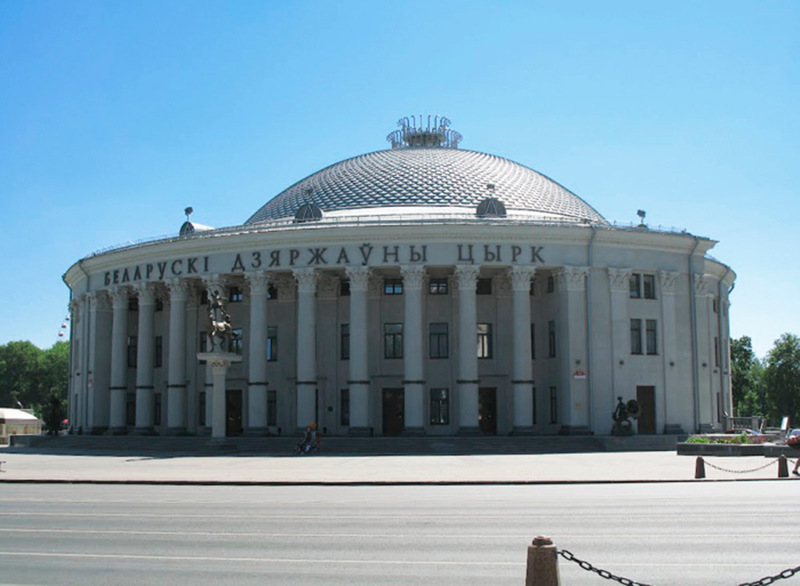 The only building that survived the war that was the St. Petersburg circus, opened in 1877 as the first fixed circus of the Empire. Its neoclassical façades were simplified in the 1959-1962 reform, not to be out of sync with the architecture of socialist realism promoted by Stalin since the 1930s. The “national in form, socialist in content style”, as socialist realism was defined -with the national form based on the neoclassical model- continued to be used beyond the XXth Congress of the CPSU (1956) and criticisms of the Stalinist monumental excesses. 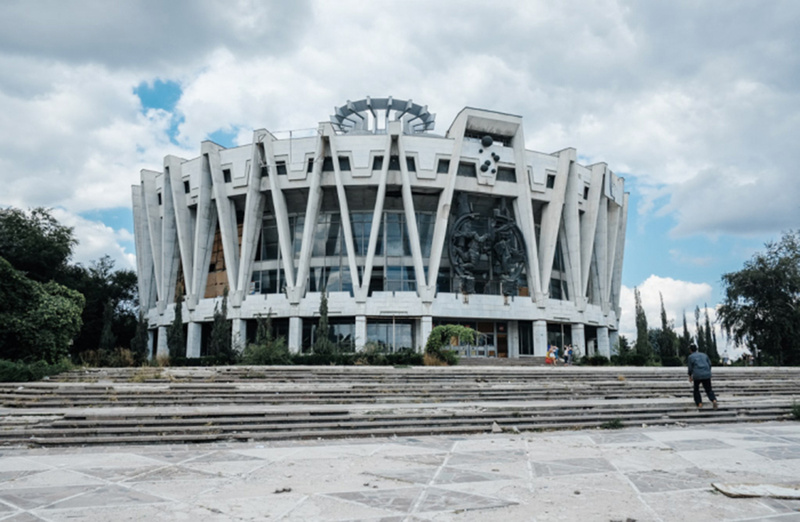 Many of the projects were already decided or started, but they were slow to execute, so neoclassical forms share the circuses of Minsk, Tbilisi, Kiev or Yerevan, all built in the late 50s or early 60s. 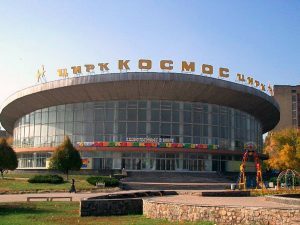 In his famous speech at the National Conference of builders, architects, workers in the materials, construction and road and bridge machinery and employees in organizations for the development of design and research, December 1954, Nikita Khruschev (1953-1964 ) claimed a more efficient and economic use of materials and construction elements, insisted on the production of spaces with prefabricated elements and on the rationality and functionality of the form. 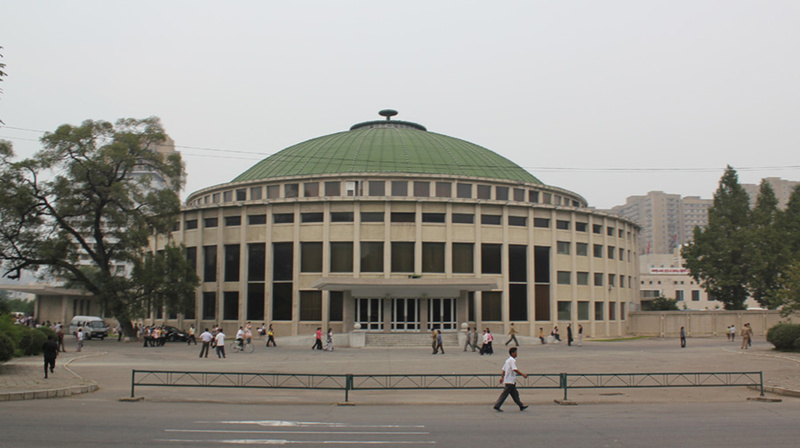 The manual building with bricks, the profuse and unjustified decoration and the excessive weight of the structural elements were central themes of this call for the change of architectural paradigms that came to be identified with a return to modernism or pre-war avant-garde. 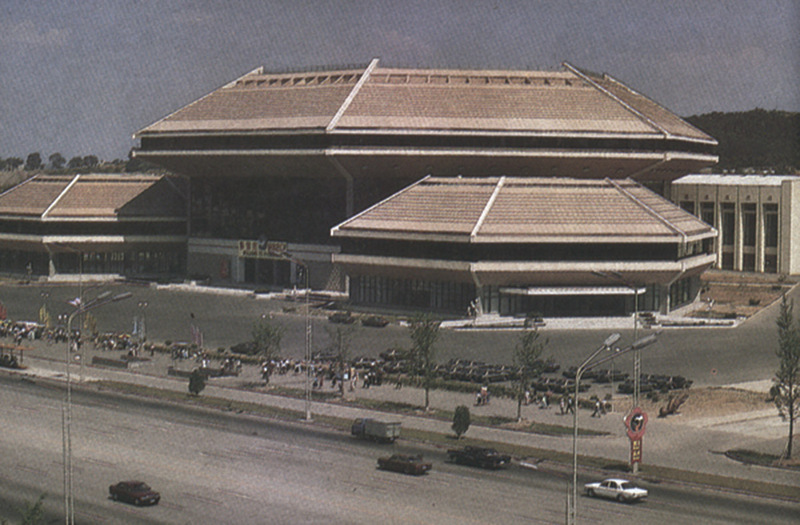 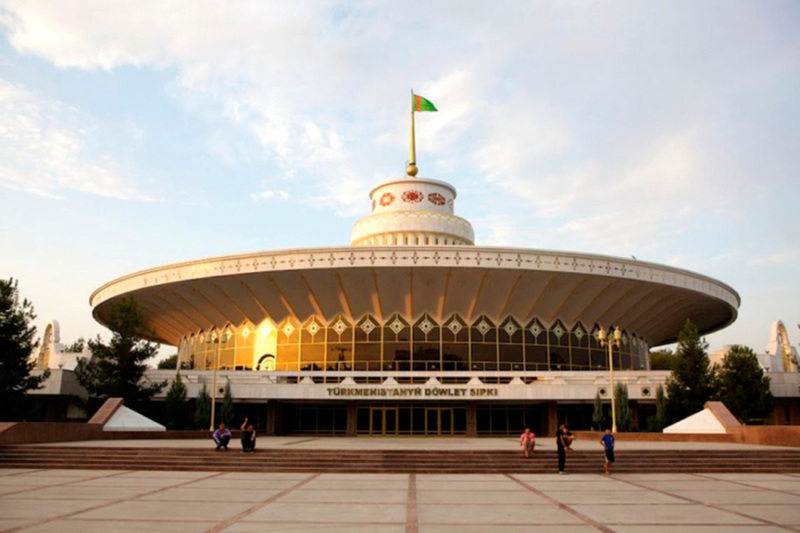 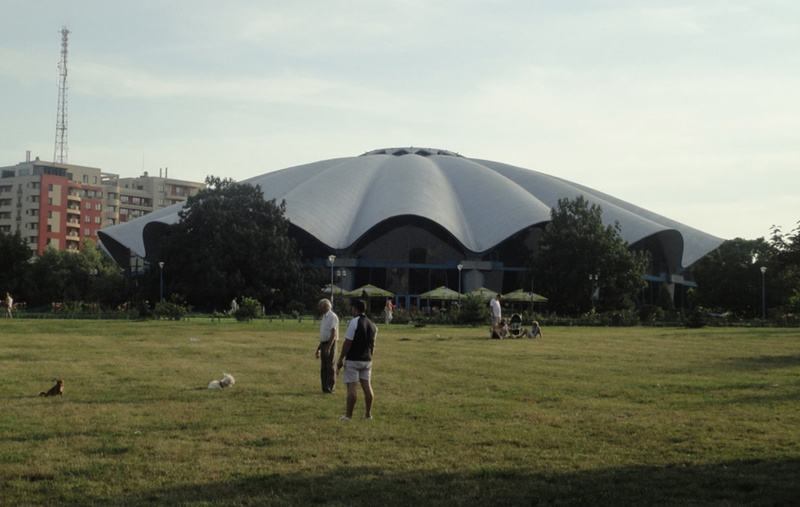 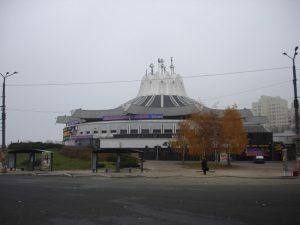 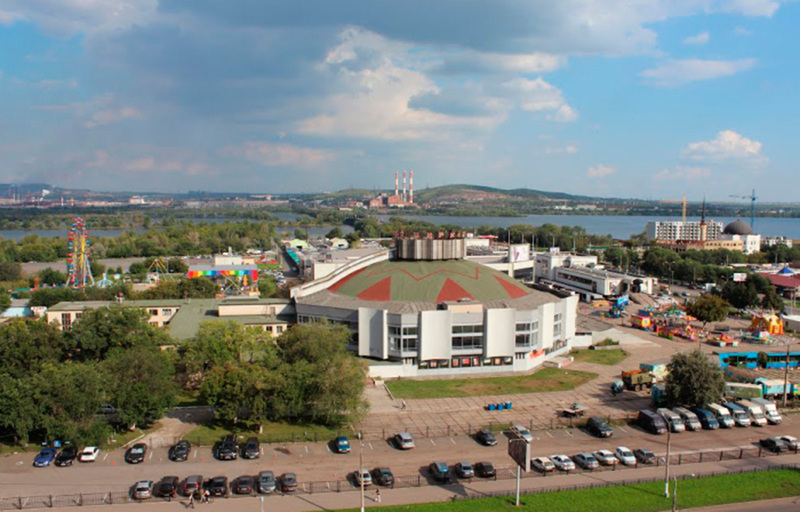 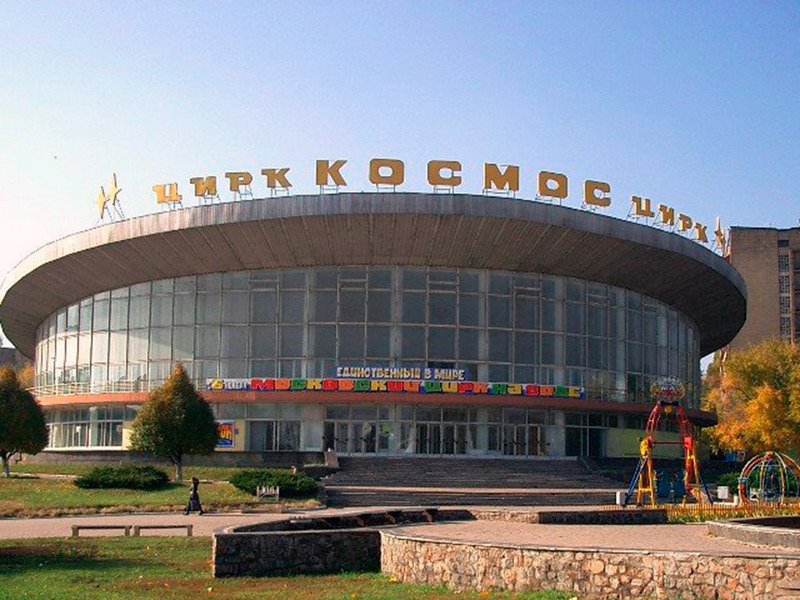 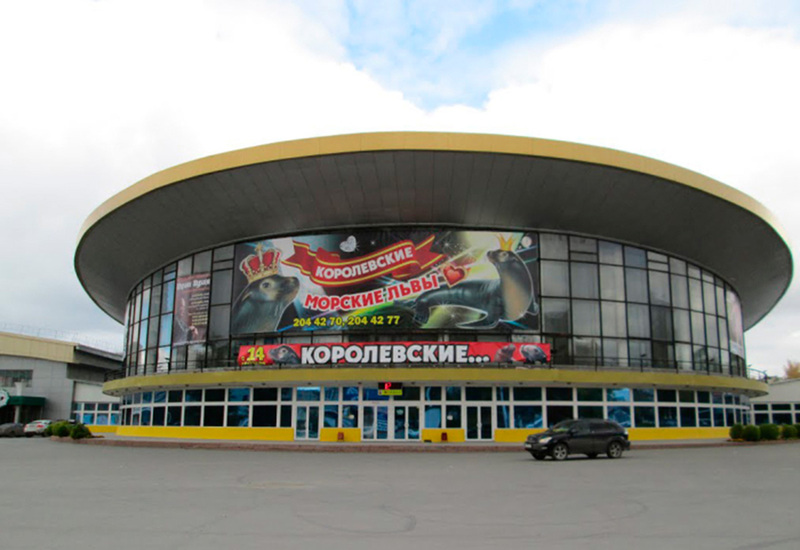 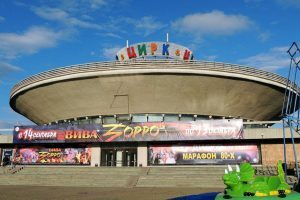 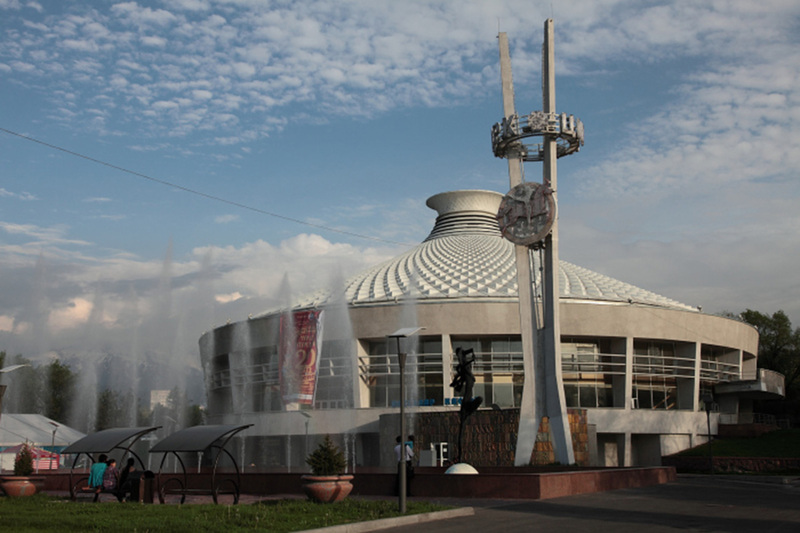 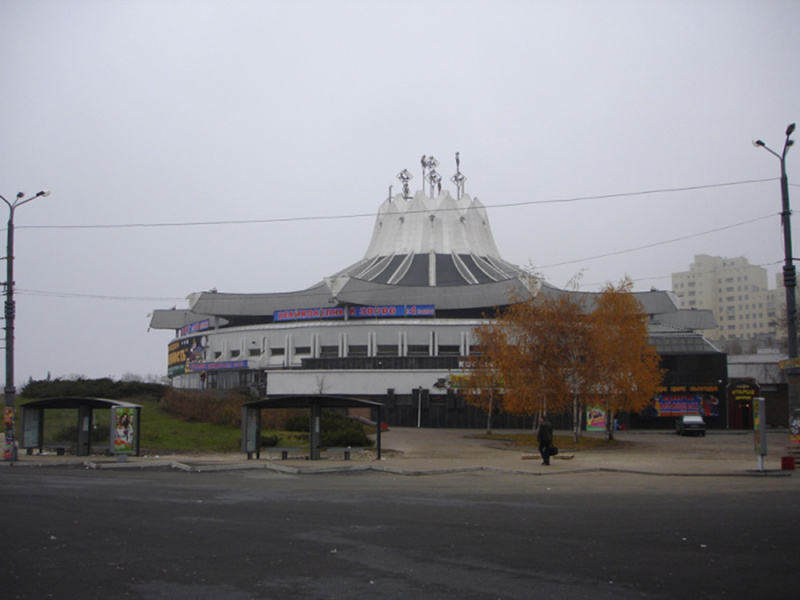 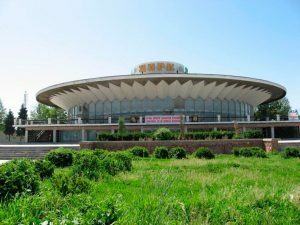 The most rationalistic circuses, such as those of Kazan, Novosibirsk, Donetsk, Kharkov, Stavropol or Volgograd, built in the second half of the 60s and the first of the 70s are clean forms with large opaque or transparent surfaces, with lightweight structure elements and prefabricated. The circus that marked trend was the new circus of Moscow or Bolshoi circus, of 1971 that introduced a spectacular dome, with metallic finish of 36m of height, similar to the domes of sports halls or of exhibitions built in other socialist countries in the same time. A precedent was also the Circus Globus of Bucharest of 1960 of architects N. Porumbescu, C. Rulea, S. Bercovici and N. Pruncu. 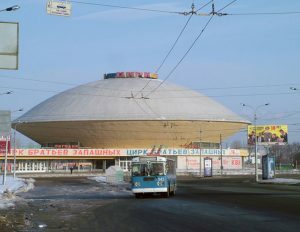 From the mid-70s, coinciding with the economic stagnation of the Brezhnev era (1964-1982) and the flight forward of representative architecture, Soviet circuses were built with increasingly spectacular forms and decorations. The circuses of Chisinau, Dnipropetrovsk, Dushanbe, Kislovodsk, or Yekaterinburg have the most elaborate forms or details. 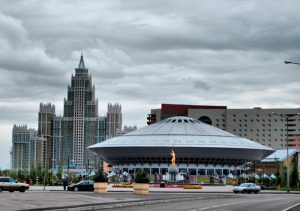 This era corresponds to the criticism of the formal austerity of the Khrushchev era, the development of dream forms and the return of decoration based on national motives. This national and abstract stamp, made of prefabricated elements, carry the circuses of Tashkent, Almaty, Karganda, Nizny Novgorod or Baku. 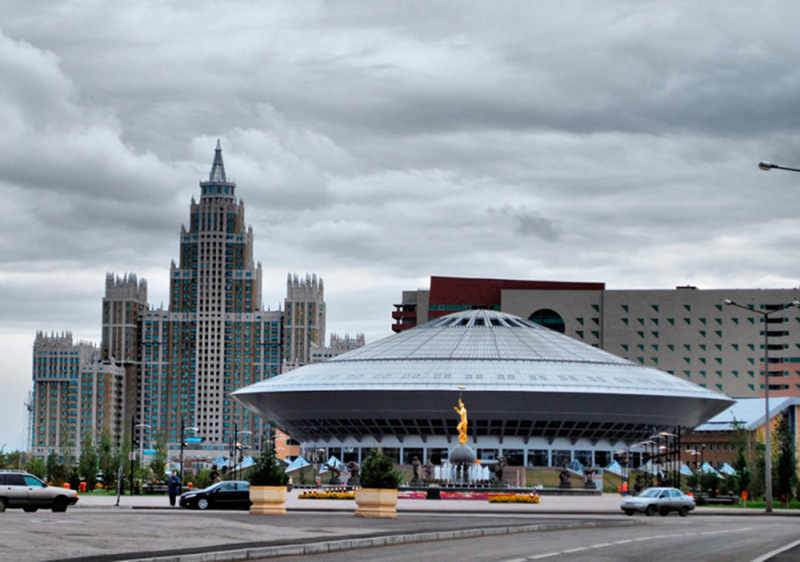 In the same way that it has exported forms, Soviet architecture has exported uses to satellite countries. 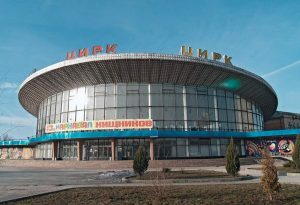 Thus circuses as public facilities have been built in Pyongyang, Ulaan Bator or Hanoi, following the same characteristics and formal evolution as those of the USSR. Being a very popular art these centers have been successful and during the transition process they have not lost their presence in cultural life. 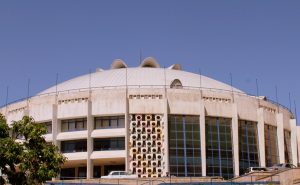 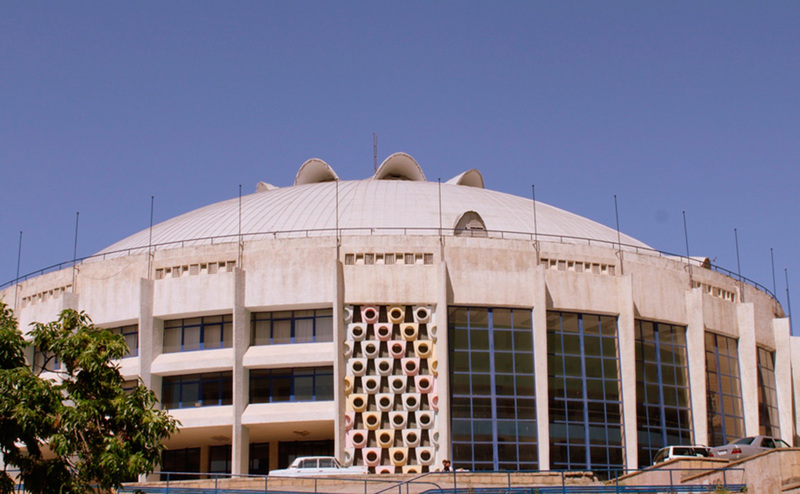 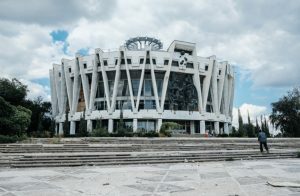 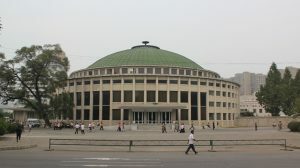 The vast majority has been reformed – by already independent countries and governments of different colors – or is in the process, as in the Yerevan circus that was demolished in 2012 and the new building is expected to open this or next year. 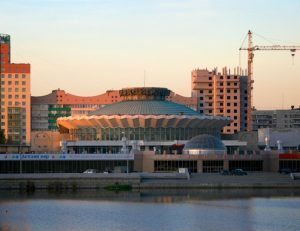 In Astana, the new capital of Kazakhstan that did not experience Soviet times, in 2005 landed a shiny new UFO to house the circus shows. 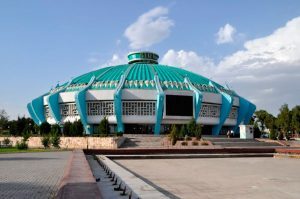 The most indicative case of circus welfare in the former Soviet countries is the case of the Ashgabat circus: built in the Soviet era (1978-84) the circus was abolished in 2001 by the first president of independent Turkmenistan, Saparmurat Niyazov. His successor, Gurbanguly Berdimuhamedov, restored it in 2008 in the same, splendidly restored building of the Soviet era.